This blog has been quiet for a while, but I got a note recently from someone inquiring about it, so I figured I’d post a version of update I recently sent to the Co-op Vermont mailchimp list. 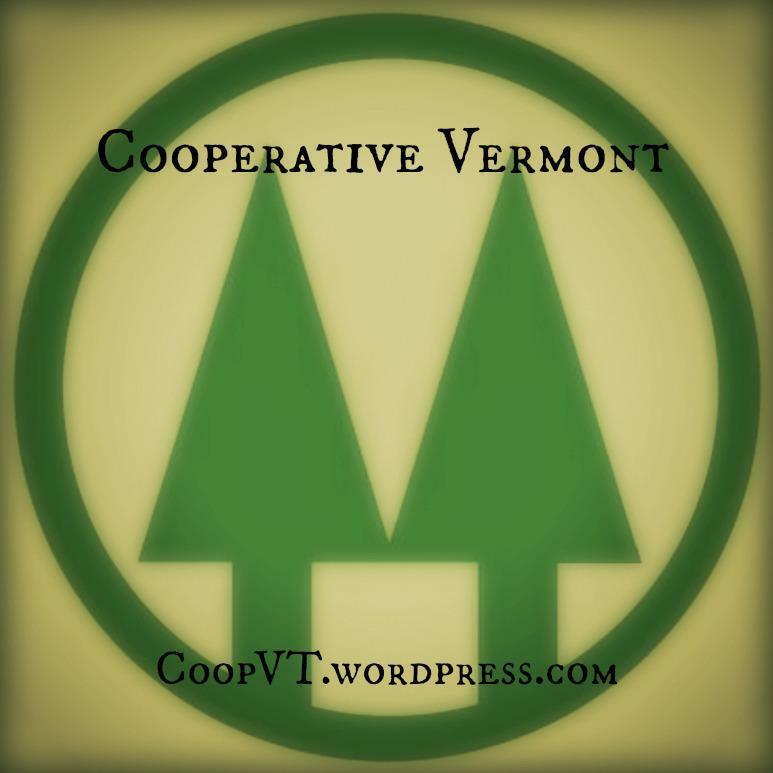 I (Matt) am now working close to full time for the Vermont Employee Ownership Center, and am also involved in the Vermont Solidarity Investing Club (which invests exclusively in co-ops), as well as Full Barrel Co-op, among other projects. Co-op Investment Club was the way to go. Modeled after the Co-op Principal club in Minneapolis, the Vermont Solidarity Investing Club launched in January 2017 and presently has 19 members, including a number of stalwarts from the Cooperative Vermont steering committee. Members invest between $20 and $100 per month in the club, and democratically decide at (roughly bi-monthly) meetings where to best invest the aggregated funds to build the co-op economy. If you’re interested in learning more and potentially joining this effort, please fill out this form. Co-op Month Gathering – In the last steering committee conversations, one idea that was batted around was of trying to organize a low-key Vermont co-op gathering at some point during Co-op Month (October). With summer approaching, the time to get the ball rolling on that front is coming up soon, and if you would like to be involved in the planning, please drop a line! #BuyTwitter Campaign & Mastodon Social.Coop – One of the most exciting things happening in the Platform Co-op space right now is the #BuyTwitter campaign, which is pushing the vision of the users buying out the social media platform and transforming it into user-owned co-op. A shareholder vote on commissioning a feasibility study will be taken at the Twitter annual meeting on May 22, and the organizing has led to some high profile press, which has given the co-op model fantastic exposure! If you’d like to support the campaign, please sign this petition, and follow @BuyThisPlatform on Twitter for updates and to signal boost the Twitter co-op conversations! In parallel to this campaign, a group has come together to work on launching a platform co-op instance of the new Mastodon open-source federated social network. The goal is to have the instance up and running in time for the 5/22 #BuyTwitter vote, and for it to serve as a social hub for the global co-op movement community, while also creating a working example of a social network running on a platform co-op business model. If you are interested in helping with this project, join the Loomio group here. Don Kreis: Wine and Cheese Party at the Hanover Co-op? Consider what happens when your food co-op – the place where you buy all of your groceries, because you love the customer service and the idea that no outside investors are extracting wealth from you and your neighbors – does something you think is awful. Let’s say, for example, that for no reason apparent to you, the co-op fires your store’s wine guy and its cheese guy. Each is a friendly employee who has, countless times, helped you find just the right item to make the meal you are about to prepare just perfect. You smiled whenever you saw either of them in the store; you chatted them up whether or not you needed wine or cheese on any particular day. Now, they’re gone. Then you read in the local newspaper that the co-op fired your favorite food purveyors because they had been talking to their fellow employees about forming a union – an activity that is expressly protected under federal labor law. The newspaper’s columnist says it is so, apparently because the two fired employees told him that. What do you do, if you are a loyal member of the co-op? Well, the other day I got an email from a longtime member of a co-op who is in precisely this situation. The member in question said he spends about $6,000 a year at his co-op, and has resolutely defended it against the claims that circulate in the community that the cooperative is an elitist organization whose prices are higher than those of the local supermarket chain stores. Until relatively recently, a great deal of peoples’ social drinking and general conviviality took place in spaces that were collectively owned by their patrons. Fraternal clubs (such as the Elks, Moose, KofC, Masons, etc. ), union halls, and the like served as community hubs as well as a place to grab a pint with friends, and they were ultimately accountable to the needs of their members. However, over the last half-century, as the memberships of such organizations have aged and they have failed to recruit a critical mass of new members (for a number of complex reasons), the prevalence of such spaces has declined precipitously. In Burlington, this can be seen in the number of old buildings that used to serve that purpose (the Masons building at the top of Church Street, the Ethan Allen Club on College street, and the old Eagles Aerie on Maple street) that are now put to commercial and educational purposes, with the only apparent survivors being the VFW post on South Winooski Avenue and the St. John’s Club. Filling the void left by these community-owned social spaces has been a proliferation of bars. Differentiated by price, culture, and clientele, they nonetheless all share one key feature: they are for-profit businesses whose ultimate goal is to part their patrons from as many of their dollars as the market will bear. As a result, while communities can and do form around such spaces, the presence of the profit motive means that the sense of belonging that community members feel is, at best, incomplete. If the long-term financial interests of the owner comes into conflict with the long-term interests of the community that calls his or her establishment home, that the former will prevail over the latter tends to be a foregone conclusion. 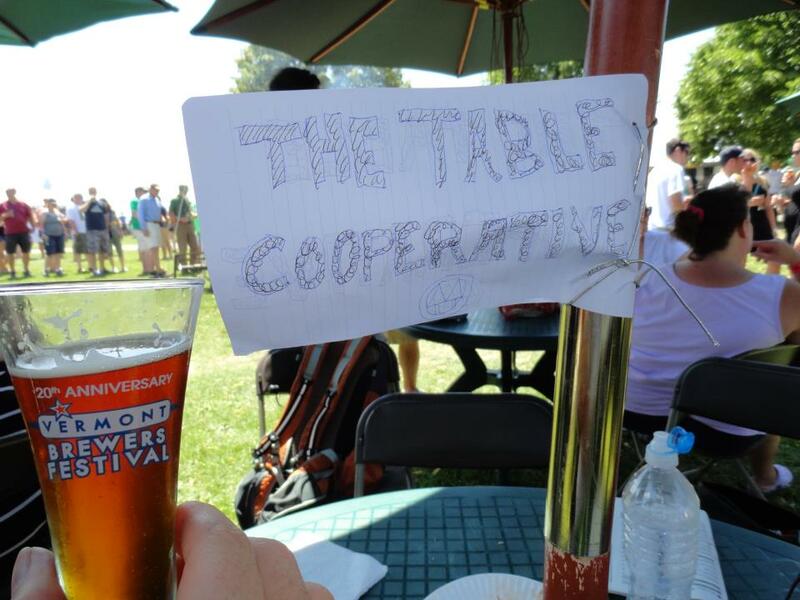 This trend of moving from community-owned social spaces to alienated for-profit bars has been proceeding apace for decades, but, in the past few years, a countervailing force has emerged: cooperative brew-pubs. 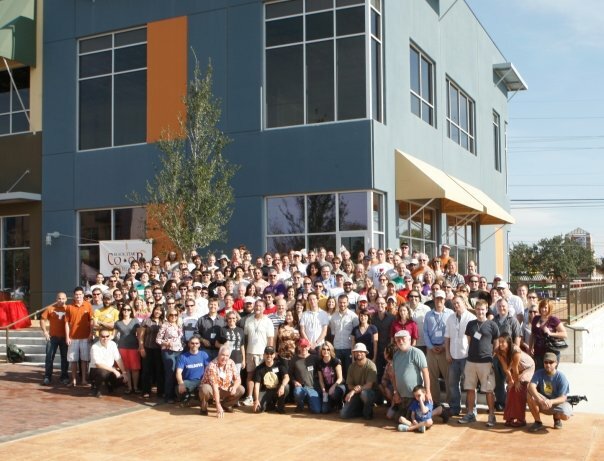 Owned by their patrons and governed democratically by the same cooperative principles by which City Market is organized, the first example of this model in action was the Black Star Co-op Pub and Brewery of Austin, Texas. Organizing began on the project in 2006, and the doors opened on their space in 2010. It was a smashing success, and by 2014 the community-owned brew-pub could boast over 3,200 member-owners and employs 27 people. Inspired by Black Star’s example, similar projects have taken root across the U.S. (examples from Michigan and Seattle), and I believe it is high time Burlington followed suit. While the craft brew market is pretty saturated (three new craft-breweries have opened in the Burlington area in the last month), a brew-pub co-op would offer something that none of the bars in Burlington are structurally capable of offering: authentic community ownership and control of our social space, the profits of which would be returned to the members, with a portion used to fund democratically-determined community projects. As to how we get there from here, as a modest first step I’ve created a Facebook page on which supporters can congregate to discuss the nascent project. Once we hit a critical mass of supporters, the next step will be to collect formal pledges from prospective members to buy a share of the co-op should we choose to launch it. As we collect those pledges, we will need to conduct a study to determine the total amount of start-up capital we’d need to accumulate, and we will need to figure out exactly how to scrape that sum together. Then, once the members are organized and the dollars are wrangled, we’ll be well on the way to creating a beautiful new Third Place for Burlington! Matt Cropp is Co-Host and Co-Founder of Cooperative Vermont. The opinions expressed in this piece are his own. Say What? 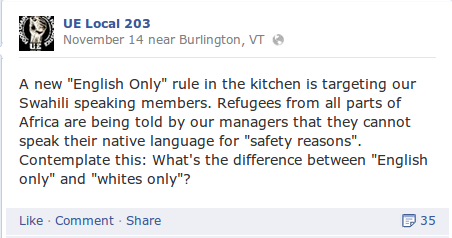 The Kitchen Language Controversy at City Market.